The promotion of a commercial property is a special process, especially if you want to create good interest from a target audience. Every property promotion must be adapted to the elements of the location, the prevailing market conditions, and the target market. Exclusivity is part of the property promotion process; open listings really don’t count when it comes to comprehensive marketing. Make your listing choices. Where would you start with this approach to marketing and property promotion? The best way to get things underway is via a SWOT analysis of the property and its elements. Know what you have in the property by way of strengths and weaknesses. Work with the facts and the strengths of the asset and or location. Build your property marketing around the strengths of the asset, its location, and the client advertising spend. Vendor paid marketing should be optimised with a dedicated promotional campaign that reaches the desired buyers in direct and effective ways. Headline – A good headline can be created with the target market and the property in mind. Short and yet ‘eye-catching’ headlines are a valuable way to pull in the interest of the reader. For ideas with this, you can look at magazine headlines and newspaper stories. Simple and effective headlines from other media can be shaped to the property that you have for sale. Photographs – Knowing the layout, and the size and type of property, make sure that you have a good set of photographs taken at the best time of day. Focus on the features of the building, and its position or precinct. Usually, you will find that the early or late parts of day will be best to get ‘feature photographs’. With your frontage photos, look to have the sun low in the sky and focused directly onto the front of the building. That direct light at sunset or sunrise will create maximum visual impact. Photographs taken at angles across the frontage will also be a good way of creating more interest in the images. Advertising copy – have a few (3) different advertising layouts ready to use with different newspapers, media outlets, and websites or portals. Cover the property ‘story’ in different ways. You can also mix up your photographs so that you are attracting the fullest targeted audience. The layout of the advert – simplicity always ‘wins’ when it comes to property marketing. Plenty of white space, dot points, and featured facts will be a good way to attract the eye of the readers to your property promotion. Approach to the target market – some properties are best promoted at the times of year where the target market is likely to be most active. Beware of seasonal ‘holiday’ periods where enquiry is likely to ‘slow’. 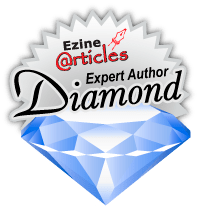 Online coverage – You can mix your online marketing up into articles, social media channels, editorials, emails across the database, and case studies. Get the property message out comprehensively and directly. Time your online marketing to match the more traditional and direct marketing across the location and targeted buyers. Offline coverage – while newspapers have always been a way of promoting a property for sale or lease; they are now not as important given that websites and portal marketing have taken ‘pride of place’ with most marketing campaigns. Portal coverage and websites – choose the portals that have the best coverage for the property type. Have plenty of cross-links in your social media campaigns back to the portals and or websites that you are using. Make sure that you are using the priority placements in the portals that suit the location and or property type. These approaches to marketing will help to make your property marketing campaigns more adaptable. 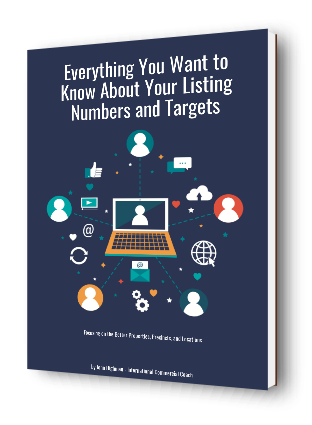 Spend more time on your exclusive listings and the campaigns of each.